Little Daisy is back today to model another dress. 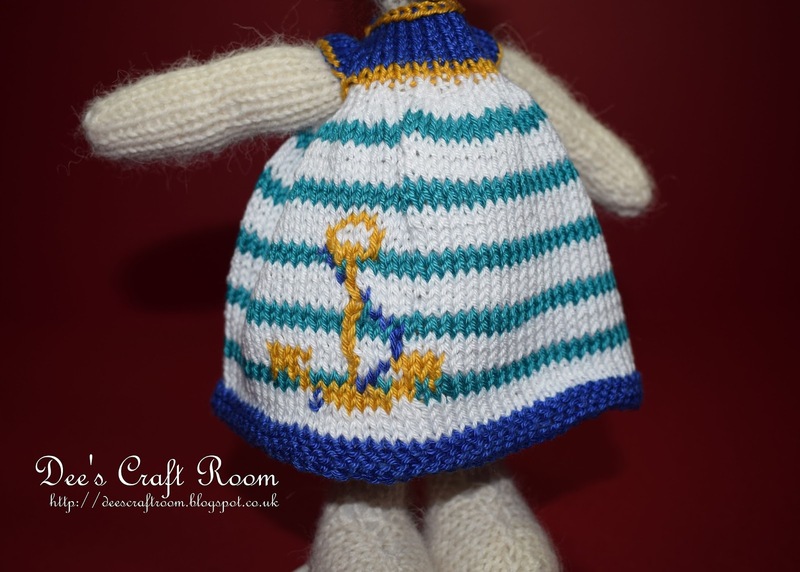 This one is another of SuzyMarie's patterns, called the Seaside Dress. The pattern is available from Ravelry free of charge. 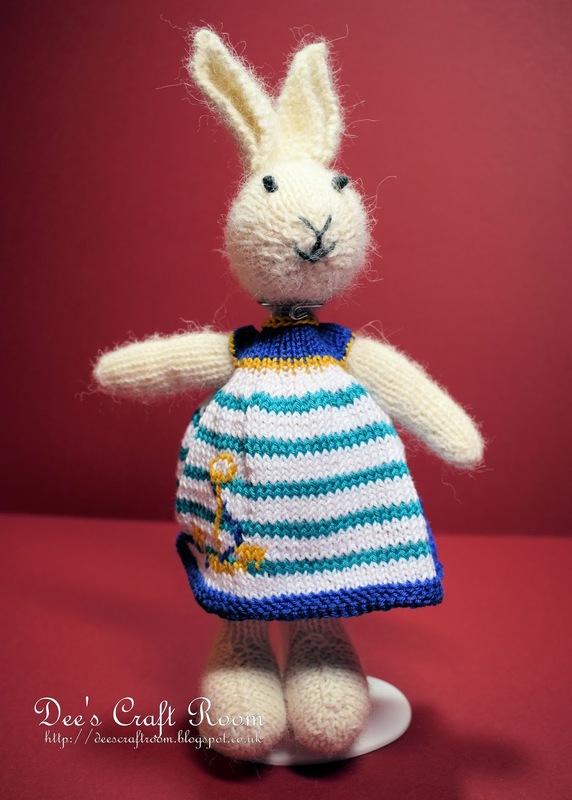 All of these SuzyMarie dresses are designed to fit Julie Williams Little Cotton Rabbits range. It is made of 4 ply cotton and I have opted to make the fuller skirt dress as I think it is easier for little fingers to dress their bunny without having to pull the tail through the hole in the back of the dress. It is a lovely summery design and spreads a little warmth on a cold wintry day. It's a really fun design and I think I shall have to try it in some other colours. There are so many I want to make.